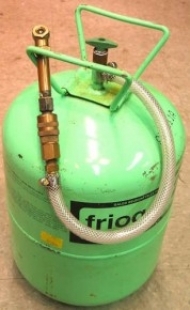 Homemade air can adapted from a surplus freon tank and fittings. Never thought of using a refrigerant tank for this purpose. Thanks for the idea.